Yasemin Dağıstan and his husband Taner Dağıstan was dismissed from their positions as a result of Turkey’s post-coup purge which saw 124,000 people lose their jobs at state institutions in just 7 months. Yasemin was a nurse at Kırşehir Public Hospital until she was sacked. The judge in charge jailed both Taner and Yasemin, leaving their three kids including a newborn baby to fend for themselves. 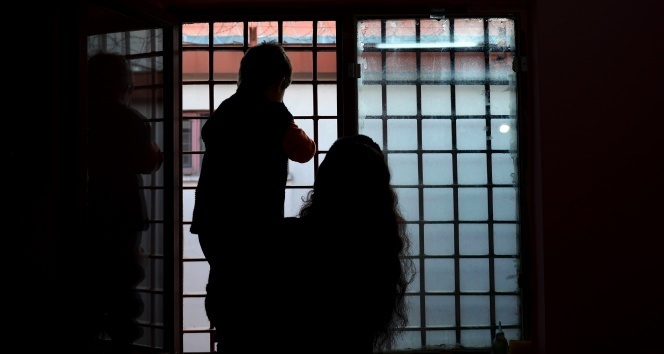 According to Aktifhaber news portal, Yasemin’s relatives objected to the decision asking for the mother’s release due to potential harm to her children. “Now that I listened to you all, leave me alone. If needed, I may get the baby arrested as well. If you go further, you could also be jailed. …Now, leave me alone. I have things to do,” Aktifhaber quoted the judge as talking to the relatives. Turkey has already detained 90,000 people and arrested 43,000 over real or alleged links to the Gülen movement, which the government accuses of masterminding a coup attempt on July 15. Yasemin was arrested for being a member of a labor union affiliated with the movement which denies any involvement in the coup attempt.